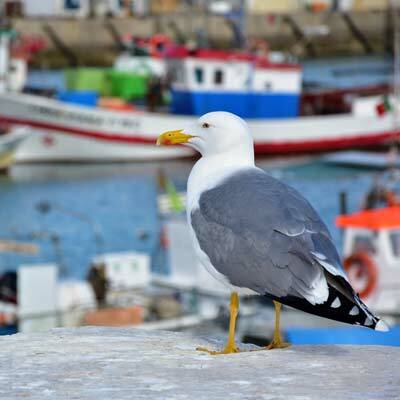 Quarteira Portugal - An Algarve Tourism Guide Fully Updated for 2019! 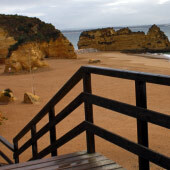 Quarteira was one of the original resorts to be established along the beautiful Algarve coastline, and to this day it has a loyal following of visitors, especially with Portuguese tourists. The beach of Quarteira is one of the finest of the central Algarve region, but the town’s appeal suffered with the development during the 1970-1980’s of huge characterless apartment blocks. Quarteira may not be the most scenic holiday destination, but its great location cannot be beaten. The vast beach of golden sands and calm sea waters stretches the length of the town, while it is only a short walk to the exclusive resort and golf courses of Vilamoura. During the summer Quarteira is a lively and social town, and is filled with facilities of a bustling resort. This includes an extensive selection of restaurants, numerous themed bars and a range of holiday activities. Quarteira is popular with families and retirees of all nationalities, but just don’t expect Quarteira to offer any Portuguese charm or traditional character. This article will provide an introduction to Quarteira, and is designed for visitors who are considering a holiday to the region. 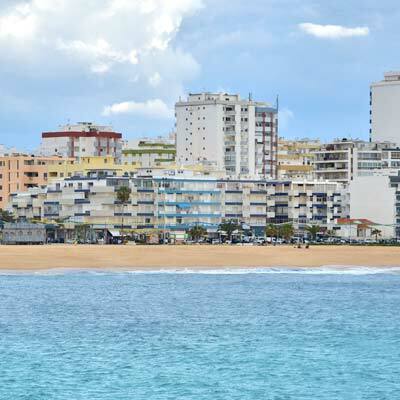 Quarteira is rarely the first choice as a holiday destination, but this would be unfair to a town that offers a fantastic beach and great tourist facilities, including many excellent seafood restaurants. Quarteira is a popular family destination and the beach has calm sea waters suitable for children to swim in. Within the town is the excellent Aquashow water park, with its numerous flumes and water slides. 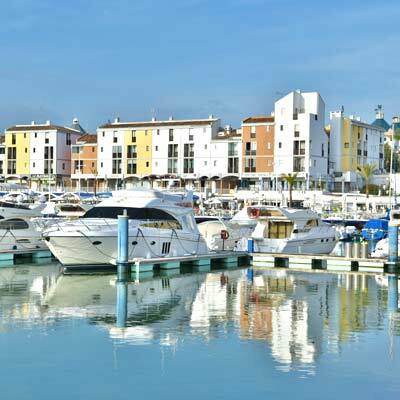 Departing from Vilamoura marina are a series of boat tours, including dolphin watching, deep sea fishing, coastline tours or thill jet boats. As for day trips, there are the historic towns of Loule and Faro, which are only a short bus ride from Quarteira. Quarteira’s nightlife is laid back and social, but it is easy to travel to Vilamoura for a more sophisticated offering or to Albufeira and The Strip for a drink-fuelled hedonistic night. 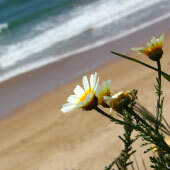 Ultimately the central Algarve region has a lot to offer during your holiday to the region. Quarteira is suited for visitors who are seeking a relaxing, low-key holiday destination; where the majority of the day is spent lounging on the beach and the evenings spent socialising in the restaurants and beach bars. 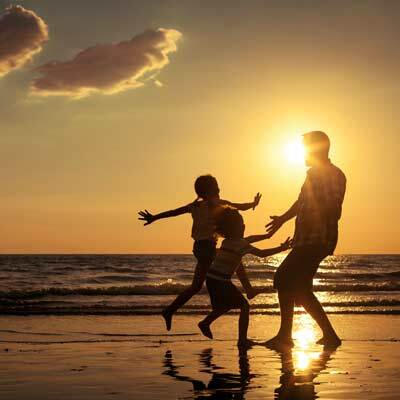 This type of holiday would perfectly suit young families, slightly more mature couples or retirees. The nightlife of Quarteira is calm and bar focused, but is not suited for party-goers or stag do’s; for this head to Albufeira. Quarteira is a modern town with few historical monument or sights, so the town is not really suited for visitors who are after a cultural or authentic Portuguese experience, for this head to Tavira or Lagos. In the quieter seasons, Quarteira makes for a great base for a golfing holiday, as it is very close to the golf courses of Vilamoura, but without the exclusive costs. Quarteira has long hot summers, warm and bright springs and pleasant autumns. The weather is suitable for spending time on the beach from May until the end of September. The height of the tourist season is from June through to August, and in this peak-season accommodation needs to be pre-booked. 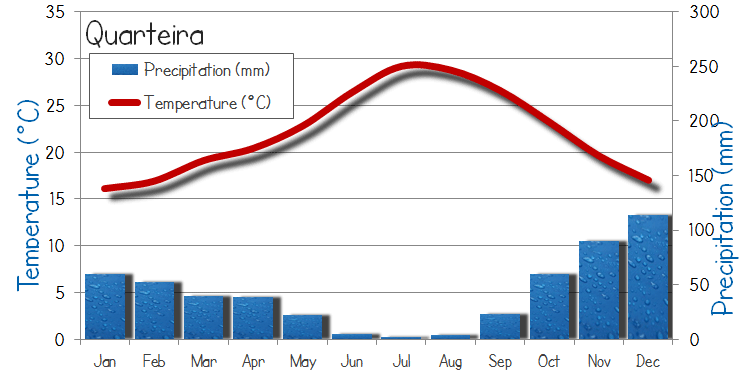 The winter months are mild, but the weather can be unpredictable, with an equal amount of grey days as sunny days. 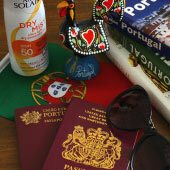 The Algarve should never be considered as a winter sun destination. During the closed season, Quarteira will feel very quiet, but there is a large enough permanent population that the majority of restaurants and bars remain open. Portugal is currently experiencing an unparalleled rejuvenation within tourism; new businesses are opening, hotels are being refurbished and there is a sense of confidence and optimism about the Algarve. Quarteira is expecting a fantastic 2019 season, and this follows the sell-out summer of 2018. This does mean that to secure the best prices, accommodation and flights must be booked far in advance. If you are seriously considering a holiday to Quarteira or the Algarve, our advice is to book now, as the best places will sell out. 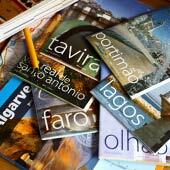 For a summary of the best hotels in Quarteira, please click here. •	The beaches are safe, with clean and calm sea waters, and are supervised in the summer. •	The Portuguese are a very family focused nation and children will be welcomed in all restaurants. •	Supermarkets stock all common items, and pharmacies are widely available for all minor ailments. •	English is widely spoken by all who work within the tourist industry, and language will never be an issue. •	There is only a short transfer from Faro airport to Quarteira. The main problem with Quarteira, which are general to the whole of southern Portugal, is the intense summer heat and that the main resorts will be very busy in the summer. If you are restricted to visiting during school holidays always book as far in advance. The Algarve has amazing waterparks which are suitable for children of all ages! 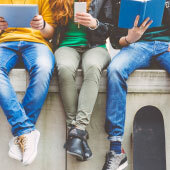 Quarteira can provide an exciting holiday for older children and teenagers, as the town is situated close to all of the excitement of the centre of the Algarve. Aquashow Park, one of the best waterparks of the Algarve, is 3km inland from Quarteira, while there are transfers to Zoomarine or Slide and Splash. Departing from the harbour in Vilamoura (15min walk from Quarteira) are a range of exciting boat tours and thrill rides. Note for parents: All of the theme/water parks in the Algarve are very expensive (+€ 30 adult ticket) and will be very busy in the summer holidays. Does Quarteira have good beaches? The main draw of Quarteira, and the original reason the town developed as a tourist destination, was due to the wonderful sandy beach. 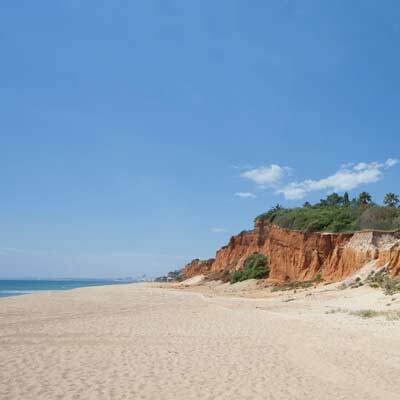 The golden sands extend along the entire length of the town and then blends into the pristine beaches of Vale de Lobo. Along the Quarteira section of the beach, there is a pleasant beachfront promenade, and this makes the entire beach easily accessible by all. To the west of the fishing harbour as another sandy beach (the Praia de Vilamoura), which leads to the marina of Vilamoura. The sea waters of Quarteira are clean and calm, and suitable for children to bath in. During the summer the beach is supervised by lifeguards. Quarteira beach can get busy during the summer but there is usually space to be found within the Vale de Lobo sections of the beach. Quarteira could be classed as a budget destination and prices for eating out and socialising are significantly lower than many of the other resort towns of the Algarve. These lower prices are in part due to the popularity of Quarteira with Portuguese tourists who demand similar prices to their hometowns. Quarteira is often overlooked by tour operators, who favour Vilamoura or Albufeira, and some of the guidebooks do not even reference it. 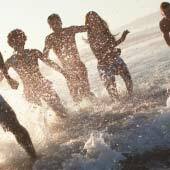 This semi-anonymity can work to the advantage of tourists, especially when trying to secure accommodation close to the summer season. Quarteira will often be one of the last towns to sell out and the large number of residential apartments means there are a lot of holiday rentals. 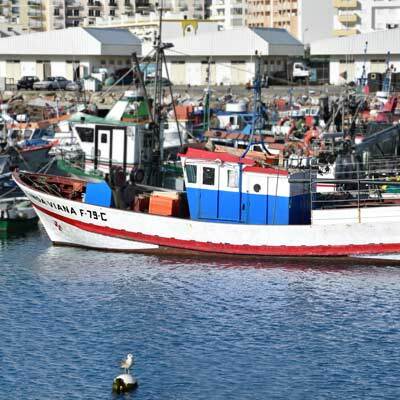 Outside of the summer season Quarteira will provide great value for accommodation as hotels try to attract visitors from the more established towns. From Quarteira there are many interesting day trips to the surrounding region and these are all easily accessible by the inexpensive and regular bus network. Popular day trips from Quarteira include Faro, Loule and Albufeira. 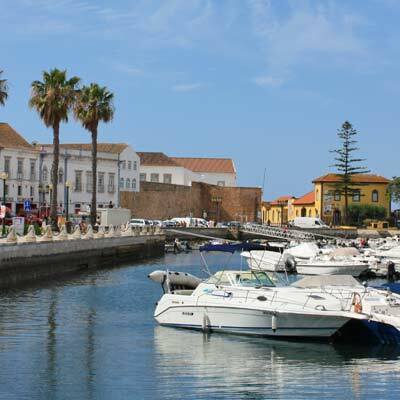 Faro is the pretty and historic regional capital, which boasts a delightful old town and a pleasant pedestrianised city centre. Faro is the gateway to Ria Formosa natural park, a series of salt lagoons and waterways that are a haven for migratory birds and small marine life. Loule is a bustling market town that provides an opportunity to experience typical daily Portuguese life. The town is centred around the North African inspired covered market, sell local produce, fresh fish and regional handicrafts. Loule comes alive on Saturdays when there is a large gipsy market hosted on the edge of the town. Albufeira is the largest resort town of the Algarve, boasting a beautiful beach and an old town crammed full with countless restaurants, bars and shops. Albufeira is a buzzing and hectic town during the summer and has a very different atmosphere to the much calmer Quarteira. Quarteira is a great destination for a golfing holiday and it is only a short journey to some of Portugal’s finest golf courses. Transport to the golf courses can be organised from Quarteira and golf clubs can be hired from golf agencies. Quarteira is very close to the five excellent golf courses in Vilamoura, which include the Victoria (18holes used for the Portugal Masters), Pinhal (18holes Par 72), the Old Course (18holes Par 73), Millennium (18 holes Par 72) and Laguna (18holes Par 72). All of the golf courses in Vilamoura are operated by the Oceanico Golf company and they have a reputation for excellent facilities and the highest standards. Green fees vary depending on the course and the season. Generally, green fees are at their most expensive during October and November, when the weather is most suited for golf. The main airport of southern Portugal is Faro airport, which is located 20km to the east of Vilamoura. Faro is a major international airport and has recently underwent a major modernisation program to increase passenger numbers and customer experience. 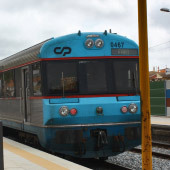 There is very limited public transport from the airport to Quarteira, and the route requires two buses (airport to Faro city and Faro city to Quarteira) and takes between 1.5-2 hours depending on connections. 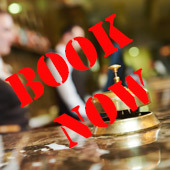 Most visitors pre-book a transfer and from the airport and these can be a private transfer or shared (minibus or coach), prices are €40 for a private transfer or €15 for shared transfer. Quarteira or Vilamoura for a Holiday? 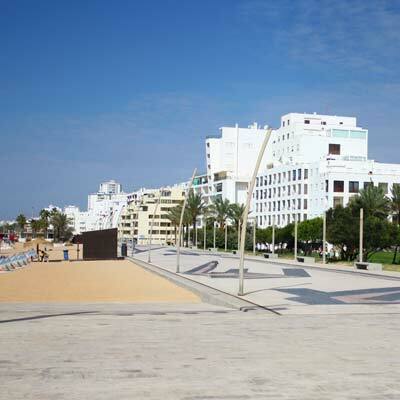 Quarteira and Vilamoura are located along the same stretch of beach but are very different destinations. Vilamoura was a purpose-built beach and golfing resort town, which is still one of the largest private complexes in Europe. The town boasts a beautiful marina complex surrounded fine restaurants and designer hotels and shops, while inland are championship grade golf courses. Quarteira beginnings are much humbler, first as a former fishing village, then as a residential town for Vilamoura, and now as a low-key tourist town that primarily caters for Portuguese visitors and ex-pats. Quarteira has a much more laid back and less pretentious atmosphere than Vilamoura. The restaurants that line the beach serve more traditional and much better value food, while the hotels of Quarteira may not be as glamorous but are comfortable and modern. In general, most tourist to the region would prefer to stay in exclusive Vilamoura, as it offers better tourist facilities. The main issue with Vilamoura is that prices are designed for the top end market and are vastly more expensive than the rest of Portugal. During the summer the hotels in Vilamoura do sell out rapidly while there may be space available in Quarteira. Even though Quarteira and Vilamoura cater for vastly different tourists the two towns are very close together and it is only a 15minute walk between them or a €5 taxi fare. Note: This type of scam is not just limited to the Algarve but is found in all major tourist destinations. The Algarve is just ripe for it, as demand for accommodation outstrips supply. .
Best town in the Algarve?